GBFG is proud to share a portion of the proceeds with local organizations. acrobatic feats, equestrian showmanship, canine capers, clowning and plenty of audience participation! It’s more of an event than a show. 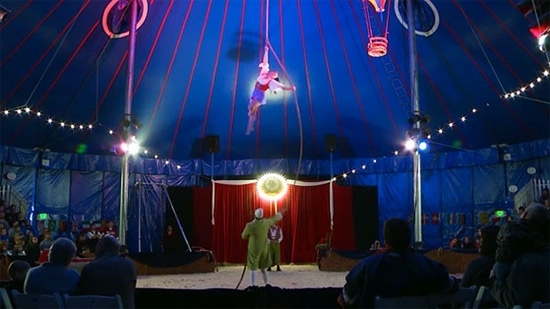 See the Zoppe’ Family Circus in action! Read Reviews of Zoppe’ Family Circus! Plan on arriving early (and staying late!) to walk Circus Alley trying your hand at games of skill and daring, tasting Berkshire home grown food vendors, and taking a try at the always popular Dunking Tank with a new surprise guest before each performance. You do not need a circus ticket to enjoy Circus Alley, which is open to the general public. 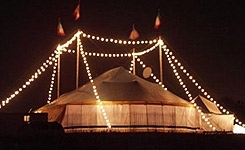 Inside the Big Top, circus goers will enjoy strings of lights, Italian music and the Zoppé Family crest which hovers over the performer’s entrance. 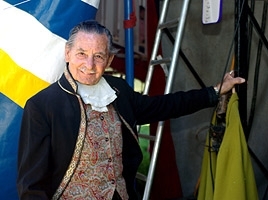 Giovanni Zoppé, says, “When a kid imagines a circus, this is what they think of…it’s exactly the way it’s supposed to be.” The Zoppè Family Circus emerged from humble beginnings more than 160 years ago to become one of the legendary circuses of Europe. The story starts in 1842, when a French clown named Napoline Zoppé met a ballerina, Ermenegilda, in Hungary, and they ran away to Venice. They were family patriarch Alberto’s great-grandparents. Cecil B. DeMille brought Alberto to the US, where he appeared in “The Greatest Show on Earth,” Mr. DeMille’s Oscar-winning film, and rose in circus lore with his signature act – a backwards, flat somersault – his torso straight as a pole (not tucked into a ball) – off the back of a running horse onto the back of a second running horse. 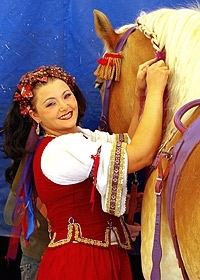 Zoppe Circus uses only domestic animals –dogs and horses (often rescues) – who are the personal pets of their owners. As family-owned pets, the animals are raised, transported and housed with expert, loving care. Every size patron must have a ticket to enter the tent. 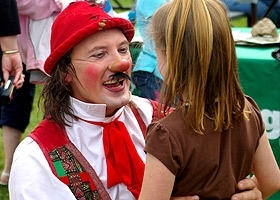 A portion of the proceeds from the Zoppé Family Circus benefit the restoration of the Fairgrounds.